Christmas is around the corner and we all want to give the best/funniest/most thoughtful gift. Well, unless you’re one of those people who literally waits until Christmas Eve to do your shopping (what is wrong with you?! ), in that case, the cheapest bottle of wine will probably do. Well now you can give the gift of your face in someone’s bed, as Firebox does personalised pillows. A pillowcase… featuring your face! It’s machine-washable and tumble-dryable too, hot diggedy dog! You can use your face, your friend’s face, even your dog’s. The possibilities are endless. 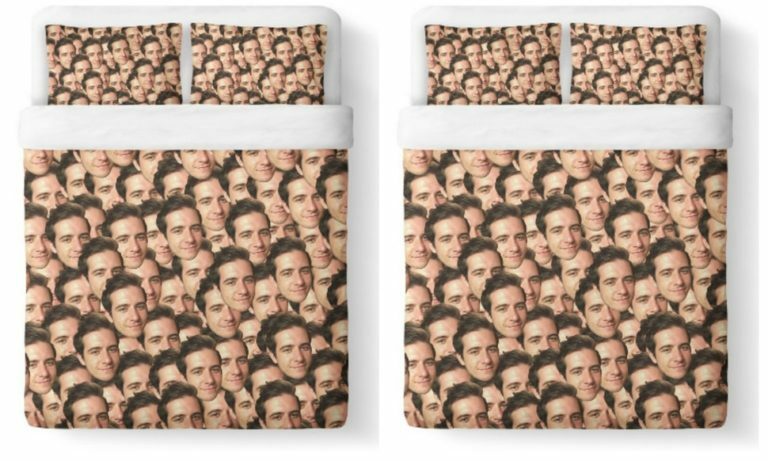 If you’d rather have someone’s face on your bedsheets, a company called Shelfies can make that dream a reality. You can either get your own face, your friends’ faces, or even your partner’s. The possibilities are endless. It’s one way to really terrify anyone who ventures into your room. The description reads: “We’ve got some of the craziest and unique designs the internet has ever seen… but we don’t have everything. Especially not your face. Upload your image, we’ll do all the design magic and within no time you’ll have a real item with your face allover. “Spice up your bedroom with some wild photorealistic all-over-print bed covers. You’re spending half your life sleeping (or more) so do yourself and your bed a favour and make it extra special. I can imagine that there’s a lot of parents out there who would love to get this for their kids just to really p*ss them off. Is this not the most beautiful thing you’ve ever seen? Obviously, it’s definitely worth asking your friend/boyfriend/girlfriend/dog if it’s okay to use their face in this way. It might be a little creepy to do it without getting permission first. Also, their face is going to see a lot of stuff. It might be worth getting the okay first. Annoyingly, the price is a bit of an issue. For a twin, you’re looking at £98.52. While a queen will set you back £115.91 and a king is an eye-watering £133.30. But can you really put a price on happiness? Or really creeping your friends out? Of course you can’t. 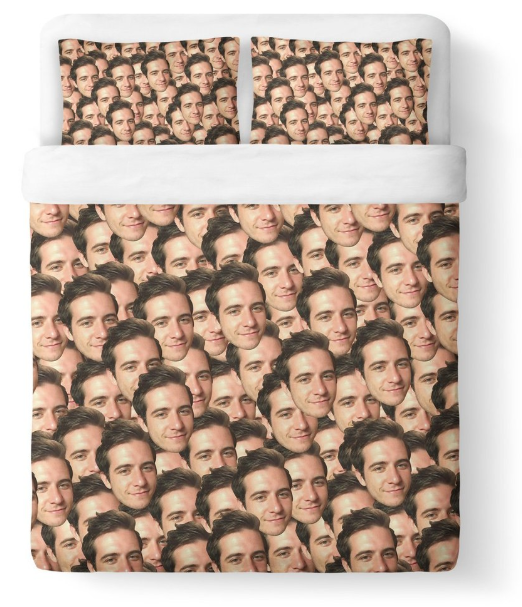 You can get your own duvet cover here. Oh, and they also do a matching blanket too.